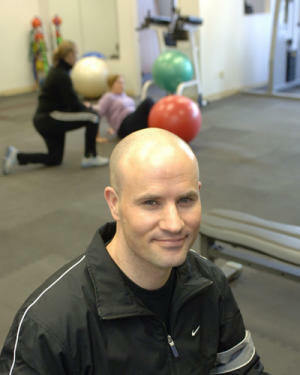 Brian Calkins is Cincinnati's top Personal Fitness Trainer. Recognized as one of the top fitness professionals in the country, in June of 2004 Brian was honored as one of the nation's top 50 personal trainers by the American Association of Personal Trainers; and in August, 2005, Mr. Calkins' personal training approach was featured in THE WALL STREET JOURNAL. Many people seeking a positive health and fitness change are very confused about the differences between simple and complex carbohydrates. And to make matters worse, many of the popular weight-loss solutions seem to do all they can to cloud the waters even further. My goal here is to help you understand the difference between the simple and complex carbohydrates, show you how they impact your health and fitness, and provide you with some simple steps you can take – today – to move you closer to becoming your own fitness champion. After reading this information, you will be one critical step closer toward reaching your absolute physical best! Carbohydrates are one of three necessary macronutrients that provide calories in our diets. The other two are protein and fat. Carbohydrates provide most of the energy needed in our daily lives, both for normal body functions (such as heartbeat, breathing, digestion, and brain activity) and for exercise (like biking, walking, running up the stairs and all types of resistance training). An ample supply of carbohydrates is absolutely necessary to sustain a healthy existence and a must if your goal is to reduce your body fat and enhance your fitness level. Simple carbohydrates or simple sugars – These carbs are broken down and digested very quickly, but most simple carbs contain refined sugars and very few essential vitamins and minerals. Examples include table sugar, fruit juice, milk, yogurt, honey, molasses, maple syrup and brown sugar. Complex carbohydrates – The complex carbs take longer to digest and are packed with fiber, vitamins and minerals. Examples include vegetables, whole grain breads, oatmeal, legumes, brown rice and wheat pasta. When you eat (or drink) a simple carbohydrate or a simple sugar – whether it is a can of soda, a scoop of fat-free ice cream, or even a glass of orange juice – all of the ingested sugar quickly rushes into your bloodstream. You typically feel a quick rush of energy. Your body then promptly reacts to this sudden spike in blood sugar by calling on the pancreas to produce additional insulin to remove the excess sugar from your blood. And for the moment, you have significantly lower blood sugar as a result of the insulin doing its job, resulting in a sense or feeling of needing more fuel, more energy and more calories. And as you hit that residual low blood sugar, you begin to crave more of the quick-release, simple sugars, and hence you have just initiated the sugar craving cycle. As this downward cycle continues, your pancreas continues to secrete insulin while it simultaneously reduces its production of another hormone called glucagon. Glucagon production, as it relates to improving your body composition, is very important if your fitness goal is to lose excess body fat. Glucagon is the only hormone that allows stored body fat to be released into the bloodstream to be burned by your muscles as energy. And when the pancreas has to elevate its production of insulin while reducing its supply of glucagon, you are basically locking-in your excess body fat. Therefore, too much simple sugar intake dramatically hinders the process of reducing stored body fat. American’s consumption of sugar continues to rise year after year. So too, does obesity in our country. In my opinion, the correlation between increased sugar consumption and obesity is telling. When 16-20 percent of daily calorie intake is coming from sugar, Americans are not only locking in stored body fat, but also squeezing out the healthier, more supportive and nutrient-dense food choices. Sugar is the enemy of body fat reduction; and the enemy of a healthy, high energy lifestyle. So, do your best to begin to understand what’s in the food you are consuming and reduce those that contain more than a few grams of sugar. When searching out the food choices that include simple carbs (i.e., sugars), start by looking for obvious ingredients on food labels that actually use the word “sugar”, like brown sugar, sugar cane, and of course, just simple sugar. Also, reduce your intake of foods that have any form of “syrup” in their ingredients. For example, corn syrup, high-fructose corn syrup, maple syrup and glucose syrup. And finally, look for those ingredients that end in “–ose”, like sucrose, glucose, lactose and fructose. All of these ingredients are sugars and, if ingested, will spike your blood sugar and initiate the pancreas to produce insulin and essentially shut off glucagon production – the fat release hormone. If you find yourself in a situation where you are limited in your food choices (e.g., a breakfast or luncheon business meeting, traveling, dinner parties, etc. ), and sugar seems to be the predominant choice, try to eat a protein with the sugar. Protein will help to slow down sugar’s release into the bloodstream, and reduce the insulin/glucagon effect. Complex carbohydrates, on the other hand – and despite all the negative press they receive in some of the popular weight loss books – are actually your body’s preferred source of energy. When you consume the healthy complex carbs – the ones that have not been altered in a food laboratory – they are broken down into glucose molecules and used as fuel or stored in muscle and the liver as glycogen. When the body has an ample supply of glucose fuel and glycogen fuel storage, it can run efficiently. You will then have the energy to function at your best and provided the material that your body needs to reduce body fat and reach your health and fitness goals. When you look for complex carbohydrate food choices to put into your body, seek out two subgroups of carbohydrates…starchy carbohydrates and fibrous carbohydrates. Starchy carbohydrates include food choices such as brown rice, baked and sweet potatoes, oatmeal, brown pastas and whole grains. Fibrous carbohydrates include asparagus, broccoli, cauliflower, onions, mushrooms, spinach and peppers and can also be found in most varieties of dark green leafy vegetables. One more very important nugget of carbohydrate information to remember: Do your best to seek out the complex carbohydrates that have not been processed in a food factory. When shopping at the grocery store, stay away from the carbs that include the following words in their ingredients: bleached, enriched, processed or refined. These processed and altered foods are void of critical nutrient value and will do very little to fuel and energize your body. Bottom line, the goal in consuming carbohydrates should be to reduce or eliminate simple sugars and instead focus on the complex carbohydrates – both the starchy and fibrous complex carbs – those that have not been processed or refined. Do the best you can. At first, it may seem challenging as you begin to uncover the foods that contain sugar, eliminate them and seek out the more supportive carbohydrates. But once you get into the habit of eating the fibrous and starchy carbohydrates, eventually it will become a way of life for you. I can promise you, after an initial effort, the payoff of eliminating sugar from your diet can be dramatic. Your energy level will soar. You will lose stubborn body fat. And your craving for sugar will completely dissipate. Start to put the good carbs into your body: Complex Starchy and Fibrous Carbs that have not been altered or processed. Eat small meals more frequently – every 3-3½ hours, 5-6 times per day. Begin to gain an awareness of food labels and the “sugar” ingredients. Start to reduce or eliminate the simple sugars and the processed carbohydrates. Remember: If your goal is fat reduction, sugar is your worst enemy! Focus on making progress and forget about being perfect. You’ll mess up every so often. Forgive yourself and just move on! Remember that small changes over time will stack up on themselves…and eventually will bring you to a new destination of physical excellence! Recognized as one of the country's leading personal trainers, Brian Calkins runs a private fitness studio in Cincinnati, Ohio and teaches men and women how to safely & effectively lose weight, get in shape and dramatically enhance their health, energy & vitality.